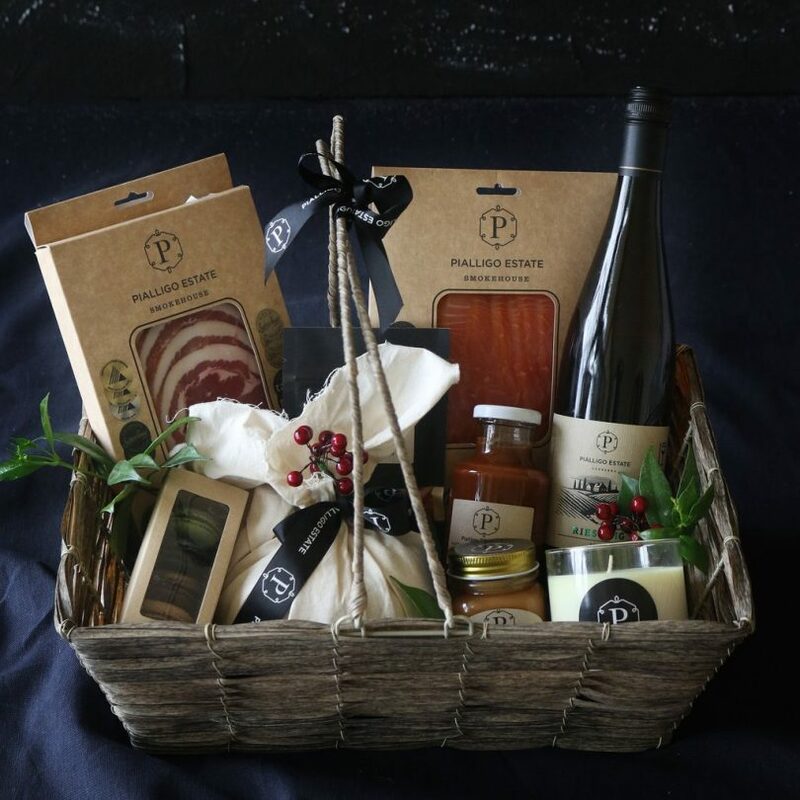 “The Pialligo Experience ” Christmas hamper. Photos: Supplied. The joys of Christmas are fast approaching – but not before we all endure the burden of deciding what to buy and where to buy it, while making last-minute runs to crowded shopping centres in the hope of finding something (anything!) that will do us proud on Christmas morning. For those keen to escape the stress, Pialligo Estate has an alternative. 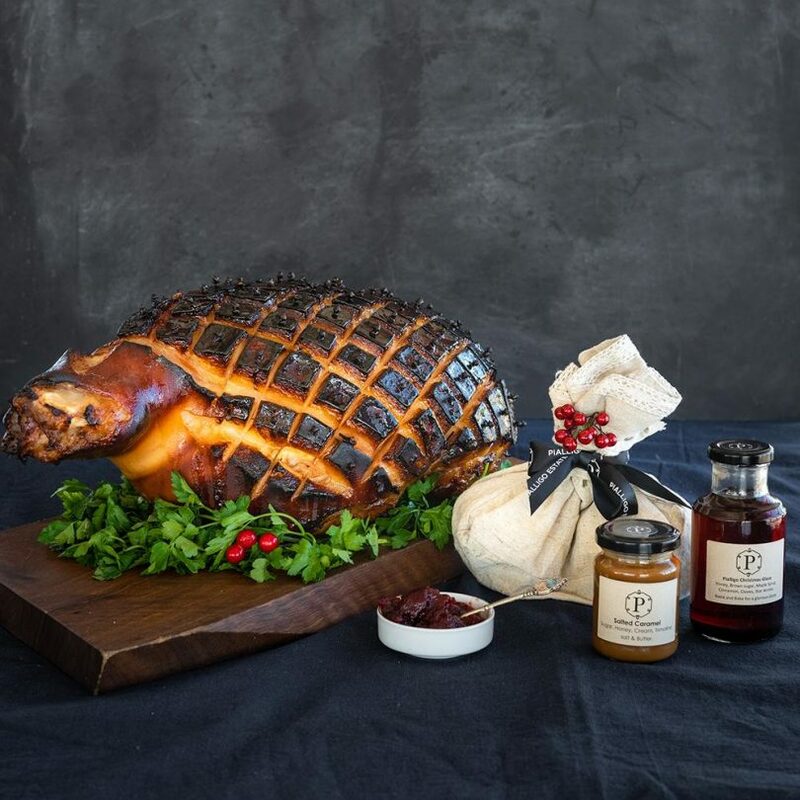 They have designed seven Christmas hampers to take care of gift giving or catering for Christmas morning, lunch, dinner and Boxing Day, featuring goods from the multi-award winning Smokehouse (they’ve won an incredible 109 awards nationally and internationally). But, you’ll need to order soon if you want to be one of the lucky ones to snag one. Rachel Evagelou, Pialligo’s Hampers and Corporate Gifts Coordinator, explains. Pialligo Estate Christmas hams sell out every year. While Pialligo Estate hams are known for their popularity (they sell out every year), Rachel says other inclusions in the Christmas hampers, such as Peach and Bourbon jam, won’t be available for long. The full range of hampers is available to view on the Pialligo website, or Rachel is happy to create one – or 250 – customised hampers if you want to mix and match. Her favourite hamper this year is the No cook Christmas hamper, featuring sliced meats, cheese, crackers, dips, and a sweet surprise. Christmas hampers can be customised and presented in gift baskets. “I don’t like to cook on Christmas day, because I’d much rather spend the time with my family! So this is the ideal way to feed people without the stress. “Everyone is so time poor over Christmas. We get caught in the trap of last minute shopping, and we don’t have time to get out. If we do, parking is awful, people are panicked, and you end up feeling so discombobulated. It’s much easier to knock it over now and tick it off the list. 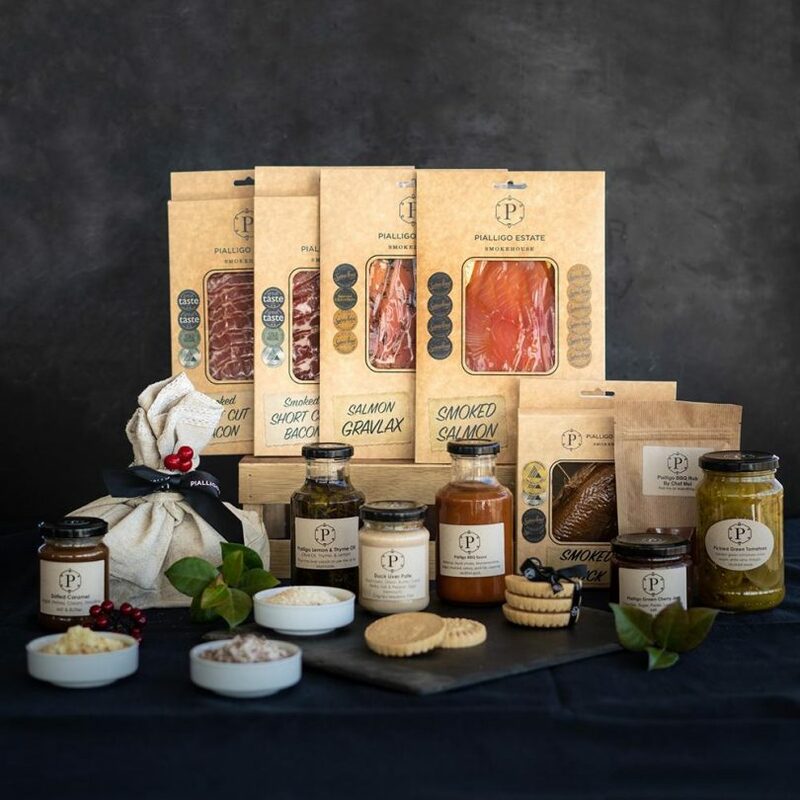 The Christmas hampers can be pre-ordered now and picked up from the Pialligo Estate Christmas pop-up shop on the date you nominate. Pre-orders for hampers close December 7. To avoid disappointment visit Pialligo Estate or call 02 6230 5600. Easter Treats At Pialligo Estate: Spend Easter at one of Canberra’s most beautiful wineries!